It would be difficult to argue that UFC 234 was anything other than a failure on the whole. The Australia based event featured plenty of local talent getting some shine, like Jimmy Crute and Shane Young, but for a pay-per-view designed for global appeal, this was a two fight card. Unfortunately, on the morning of the show, we lost one of those two fights. The five round title fight main event between Robert Whittaker and Kelvin Gastelum was lost to a hernia. That left Israel Adesanya and Anderson Silva in the main event. 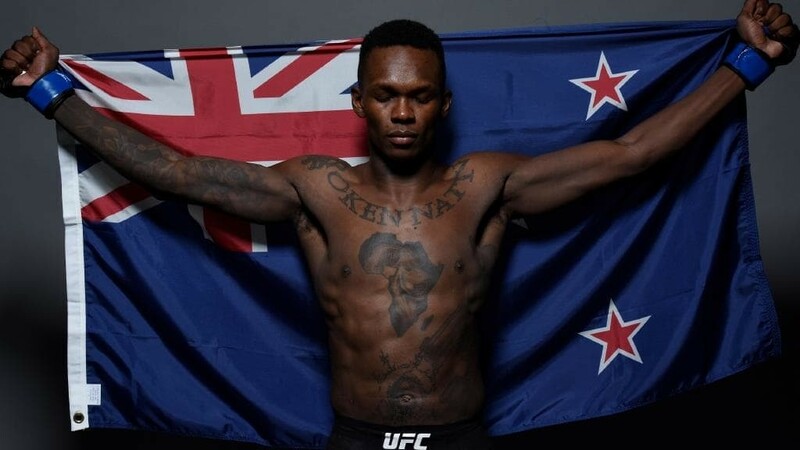 Israel Adesanya and Anderson Silva were tasked with taking it home at the Rod Laver Arena in a three rounder. A lukewarm night of combat sports was expected be end with a melancholy execution.. Thankfully, the MMA Gods – the most notoriously merciless of all the sports deities – took pity on the bereft Australian crowd and facilitated a classic. It wasn’t a classic in the traditional “just bleed” sense of the word; Adesanya vs Silva was like a New Japan Pro Wrestling match, and I mean that in the best possible way. Two showmen, one young and hungry to reach the top, the other a wily veteran conditioned by a lengthy stretch at the top. Israel Adesanya and Anderson Silva are excellent fighters, but they understand the game they are playing and the story they were telling. In between trying to legitimately take each other’s heads off, both men indulged in histrionics. Silva did his usual shtick, throwing up wing chun guards and standing with his back to the cage, beckoning the kiwi kickboxer to swing at him. Adesanya allowed to Silva to have his fun and met him with similar flourishes. 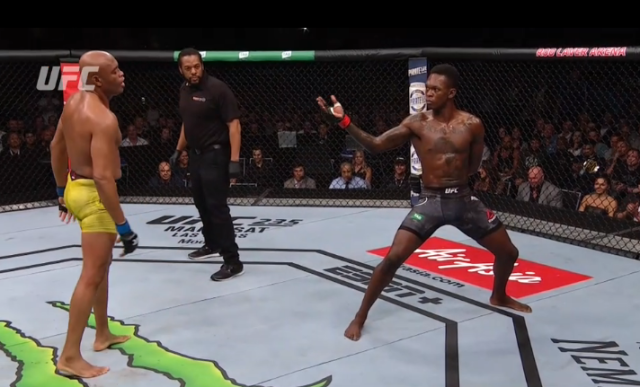 After Silva dodged one of Izzy’s high kicks – a kick that would have likely decapitated any other fighter – Adesanya stepped back and acknowledged the near miss with a nod and a hand gesture. It was made clear in the buildup what this fight was. Israel Adesanya has a similar style to Silva, and this was promoted as a “new school vs old school” clash. Israel, being the one to call for the fight in the first place, happily acknowledged this. He called Silva his inspiration and conceded the “Spider” was a big reason he was fighting in the first place . At the weigh-in he summed it up perfectly: “he brought me into this game and it’ll be an honour to take him out”. Despite his brash attitude, “Stylebender” has immense respect for Silva. This was clear in the fight as “Stylebender” let the “Spider” do his thing. This doubled as strategy, as he avoided counter striking opportunities from the former middleweight champion. Anderson would put his hands down and eat shots, but Adesanya stayed composed, and throwing his own taunts when the time was right. At the end of the first round Anderson marched forward, with Adesanya taking a karate stance and extending a “just bring it” hand gesture. After dancing with each other and trading missed spinning heel kicks the fifteen minute time limit was up. Neither man sustained much damage, but Adesanya clearly controlled the fight and was thus awarded the decision. If you live for blood and guts – see Hendo/Shogun 1 or Hunt/Bigfoot 1 – then this likely wasn’t an exciting display in your eyes. If you’re into fighting however, you likely couldn’t peel the smile from your face for the duration of the contest. No, no one was dropped or even rocked. However, the story at play and significance of the smaller moments helped create something I can’t recall seeing in MMA. Silva’s familiar tricks and Adesanya’s refusal to fall for them stunk of the best parts of pro wrestling. There was actual ring psychology on display, intentional or otherwise. The crowd were eating it up, every “spot” and every vintage Silva taunt lit up the Rod Laver arena. In Japanese professional wrestling culture they have the “young lions”. Young, up and coming wrestlers who work under the veterans to hone their craft and develop their own style. Eventually the young lions progress, get a new gimmick and ring gear, and start competing with the full time roster. This has lead to plenty of young lion vs grizzled old veteran showdowns. An example of this is Hiroshi Tanahashi vs Jay White from NJPW’s King of Pro Wrestling event from last year. 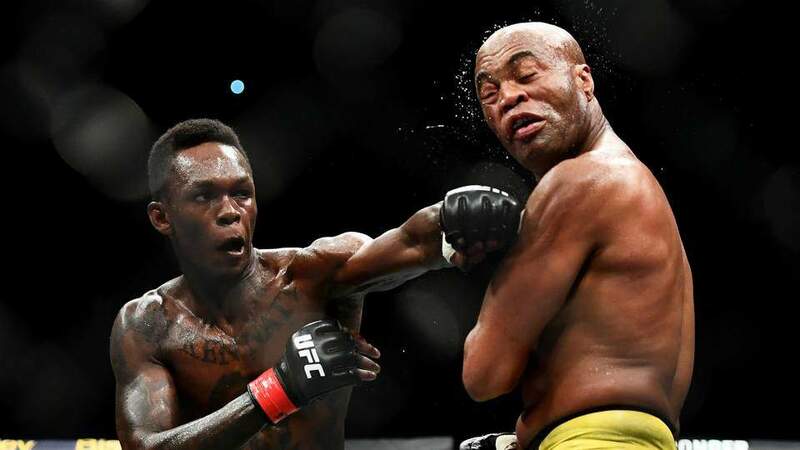 Israel Adesanya vs Anderson Silva was that, only it was real legitimate combat. While it wasn’t a crazy brawl and no one got hurt, both men were trying to seriously damage the other. Through this however, thanks to the showmanship and the self-awareness of the participants, it featured just enough dramatic flare tell a story. Some have called this a glorified sparring contest.I can see their point, it just doesn’t hold up to scrutiny. Anderson Silva did what he always does, just on this occasion his dance partner wasn’t falling into the traps. It was a display of martial arts at the highest level and if you don’t like that then we have very different ideas of what MMA is or should be. Torch passings in pro wrestling are extremely common, and this was a blatant torch passing. So much so that if I didn’t know better I would say Anderson put Israel “over”. This means he gave him the win to boost his career. He didn’t, but that is how it played out. It was legitimately fascinating to watch, and I think it will be a long time before the perfect cocktail of timing, meta showmanship and similar styles collide in such a way to produce these results, so enjoy this for what it was. Images courtesy of dailytelegraph.com.au, f4wonline.com, coed.com and sportingnews.com.